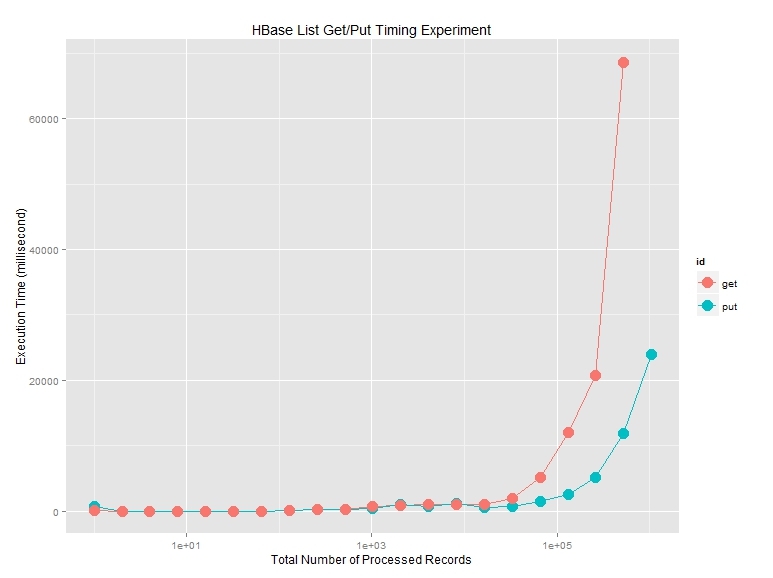 People say HBase is currently the fastest and widely used key value storage which can also theoretically scale to infinity. I set up HBase-hadoop2 running on my virtual box. 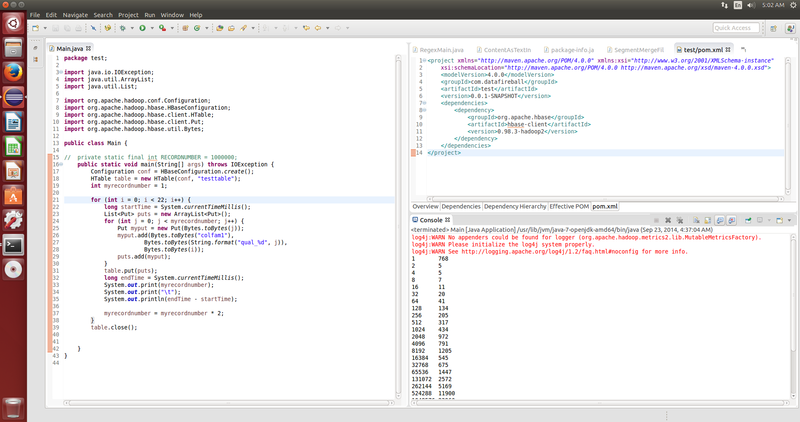 And wrote some Java code to put and get data against HBase using the Java Hbase Client API. You can access the code from my github repository.